In elementary school I devoured all the books and magazine articles about Sasquatch or Bigfoot that I could find. The whole idea of a giant ape-man wandering around the woods, while fascinating, managed to scare the hell out of me. When it came to camping I was convinced it was only a matter of time before my tent and I would get hauled off and eaten by a group of these creatures. Luckily our family didn’t camp all that much so I was able to avoid having to explore that particular childhood scar in depth. So when Kokanee started using Sasquatch in their ads I loved it. Watching the monster sneak off with cases of beer was innocent fun, though it may have led to me subconsciously choosing their brand as the first one I ever got seriously drunk on. While I am certain the Kokanee Brewing Co. would never support such behavior, I will suggest that a far more likely reason for my choice was price. You see, with regards to alcohol, our main adolescent requirement was volume, and the rather usurious fees demanded by your average bootlegger demanded a more frugal selection. Still, Kokanee stayed true to Sasquatch. Currently they surround him with a crazed park ranger who can only be described as “Joe Friday meets aging 70’s hip cat” and his three very attractive assistant rangers, meaning I don’t often change channels when their ads come on. Pushing “glacier fresh taste” was the pinnacle of Sasquatch’s advertising career. It seems that Sasquatch’s agent has hooked him up with a beef jerky contract. 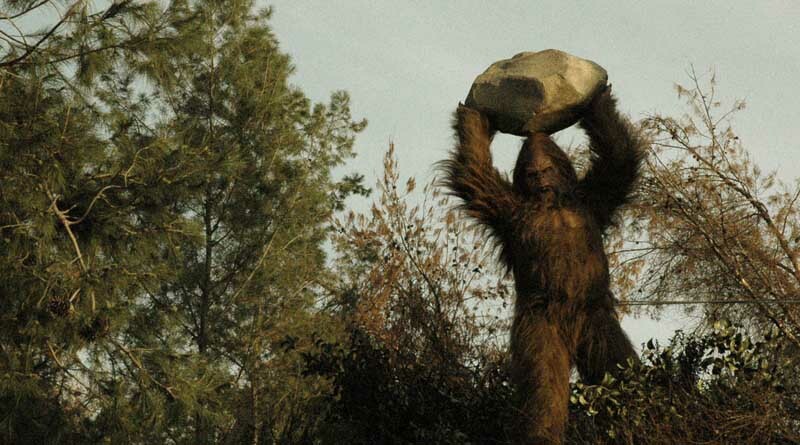 The new series of “Jack Link” ads are called “Messin’ With Sasquatch” and they rock. I first saw them while watching “MXC” on the Spike television network, which reveals things about me best left unsaid, but I digress. To get where these spots are coming from think of the dumbest, most childish pranks you can remember. You know them by heart: Shaving cream in the hand of a guy snoozing, black shoe polish on the binocular eye pieces, a warm bowl of water and a sleeping friend and finally, loosening the salt shaker lid just before your buddy uses it. Are they dumb gags? You bet, but pull them on Sasquatch and you’ve struck comic gold. Picture three idiots finding Sasquatch. Are they scared? Are they taking video? No way! They slowly walk away and plot their attack. Finally, our three idiots sneak up on Sasquatch and loosen the top of his salt shaker just before he goes to season his carefully roasting dinner. Watch hilarity ensure as the contents dump all over his meal and he freaks out. “Messin’ with Sasquatch” cannot be described any clearer. Even the idea that Sasquatch is trucking around with a salt and pepper shaker makes me smile. If you go to www.messinwithsasquatch.com you can see the ads yourself. Who could have imagined that a beef jerky company by the name of “Jack Link” could display such a vibrant personality through a simple TV spot? Oh boy Oberto, what you gonna do now? Sasquatch and beer is so eighties. Sasquatch and beef jerky – now that’s the future. Feed your wild side indeed. Love in the City: The Perfect Career or Relationship? Love in the City: To Share or Not to Share? Love in the City: When is it OK to Make Your Relationship Social Media-Official? Copyright © 2019 littlebluetruck.com. All rights reserved.